Asthma is an ancient Greek word meaning ‘panting or short-drawn breath’. It is an allergic condition resulting from the reaction of the body to one or more allergens and is the most troublesome of respiratory diseases. An asthma patient gets frequent attacks of breathlessness, in between which he may even be completely normal. Asthma is a very common respiratory disease, it affects the trachea and bronchial tubes by becoming inflamed and plugged with mucus. This causes the airways to narrow, restricting the amount of air going to the lungs, and makes it very difficult to breathe. Asthma can occur in anyone but is very common in children and young adults. Typical symptoms of an asthma attack are coughing, wheezing, tight chest, difficulty breathing. Home remedies for asthma can help breathing. There are 2 types of asthma, allergic asthma, and nonallergic asthma. Some of the allergens that can trigger an asthma attack are chemicals, drugs, smoke, dust, food additives, pollution, mold, etc. Nonallergic asthma can cause by anxiety, exercise, dry or humid weather, fear, laughing, stress etc. 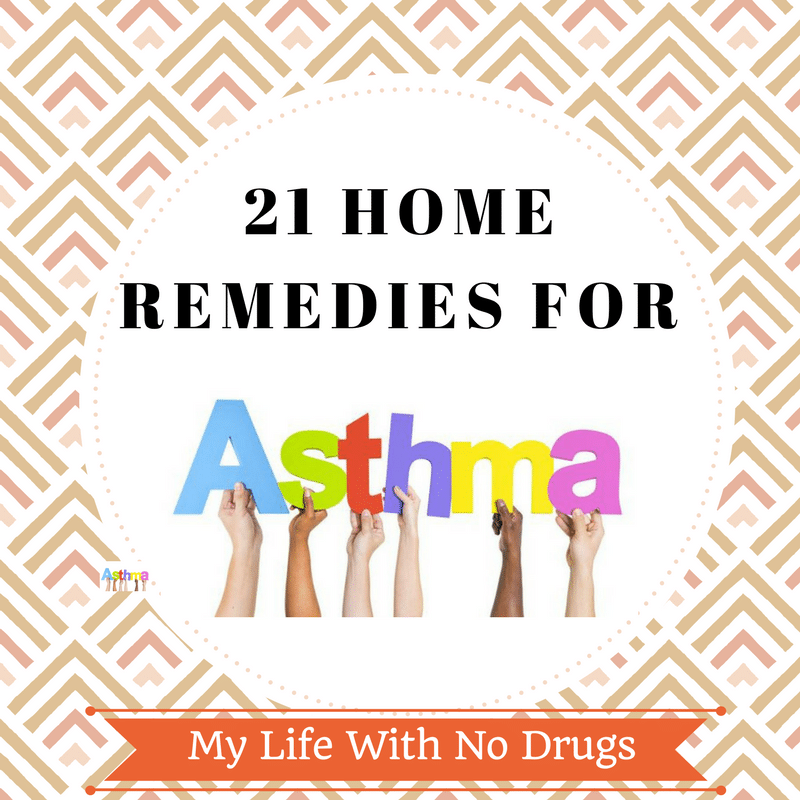 Home remedies for asthma can help these conditions as well. The rate, in which asthma attacks have increased in the past few years is alarming, especially in children. Scientists believe that there is a strong link between contamination in the air we breathe and asthma, evidence suggests that the percentage of people who live in big cities and have asthma attacks is far greater than those of people who live in rural areas. 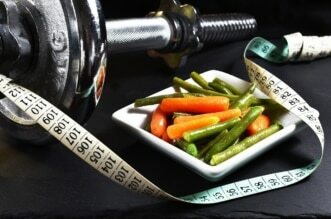 However, this may not be the only reason, it is believed that genetic, food additives, toxins etc. could also contribute to asthma attacks. Modern medicine can offer very little to children with asthma, most drugs can only produce a temporary effect. 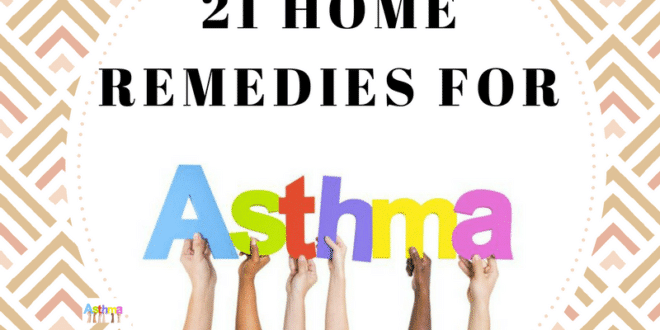 Home Remedies For Asthma, on the other hand, can be very helpful, not only reducing attacks but also strengthening the lungs and immune system. You’ll learn to treat this disease with many combinations of herbs such as mullein , elecampane and more. 1. Vitamin B6 and Vitamin B12 are very important nutrients to treat asthma decreasing the inflammation in the lungs. 2. Vitamin C Is needed to fight infection, increase the amount of oxygen and reduce inflammation. 3. Use ginkgo biloba, this herb contains ginkgolide B which is very helpful. Some studies indicate that ginkgo biloba reduces the frequency of asthma attacks. 4. Mullein oil is used to fight respiratory congestion, is very important to make it as a tea for faster results. 5. Pau d’arco is a natural antibiotic and reduces inflammation. 6. In China, [td_smart_list_end]a powerful mixture of herbs called Shaun Huang Lian is being used in hospitals to treat respiratory illness, very important to use this herb in asthma and acute bronchitis. 7. If exercise triggers asthma attacks, cut back the amount of salt in your diet and take 2,000 mg. of Vitamin C one hour before your workout. 8. Eat salmon 3 times a week and take salmon oil capsules. 9. Drink coffee and Soft drinks with caffeine (colas), caffeine dilates the bronchial airways. 2 tsp. powdered Indian root. 2 tsp. granulated echinacea root. Mix all ingredients and let them sit for 2 hours. 12. Caffeine is known to dilate the bronchial airways. 13. Turmeric powder (1 teasp.) in milk with honey 3 times. This is an old indian remedy. 15. Get the asthma patient to bend over a bowl of honey and breathe in the vapors for a few minutes until their breathing eases. 16. Another one of the good asthma attack home remedies is to inhale from boiling water mixed with caraway seeds. 17. Drink hot licorice root tea which has brewed for around 10 minutes. 18. Try blending honey, lemon juice, and radish, then heat for 20 minutes in a saucepan. Take one teaspoon daily. 20. To expel infected mucous from the lungs, regularly chew fennel. 21. A good natural inhalant for asthma sufferers is a few drops of essential oil of juniper in hot water. Do not use undiluted directly on a handkerchief or the skin. 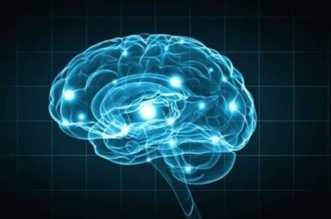 Next article Do You Really Know Which Stress Is A Bad Stress? I was diagnosed with COPD & emphysema in May of this year. I have been smoke free for 14 months. I quit because my first granddaughter was going to be born! I didn’t want to smell like an ashtray when I held her! Since then I have been having trouble breathing, gained twenty pounds since quitting smoking I was exercising and not losing any weight, seeing a dietician and being told to quit eating practically! I was depressed and feeling like nothing is working! There’s got to be a way to make me feel like my chest isn’t so tight feeling like something is stuck in my chest. I lost touch with reality.I started on Health Herbal Clinic COPD Herbal formula treatment in August 2017, i read alot of positive reviews on their success rate treating COPD disease through their Herbal formula and i immediately started on the treatment. Just 7 weeks into the Herbal formula treatment I had great improvements with MY breething ,I am unbelievably back on my feet again, this is a breakthrough for all COPD Patients, visit Health Herbal Clinic official website www. healthherbalclinic. net or email [email protected] healthherbalclinic. net.This treatment is incredible!